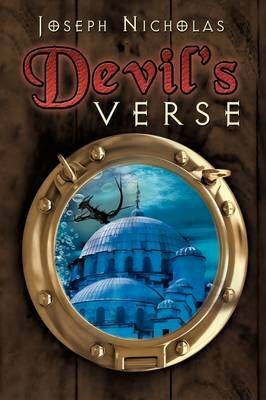 In "Devil's Verse," paleographer Dr. Natasha Azshatan sets out to prove her friend, a Russian Orthodox priest, was murdered and did not commit suicide as investigators presume. Above Father Elijah's hanging corpse-apparently written in blood by his own hand-is the Latin palindrome known as The Devil's Verse, words that Natasha translates to read, "We wander in darkness and are consumed by fire." After the local sheriff is murdered in the same manner, Natasha's quest to discover why the priest was killed and by who takes on a sudden urgency and transports her far away from Washington State's small island town of Jerrell's Cove to the exotic cities of Istanbul and Rome. As an expert at authenticating and analyzing Greek and Latin handwriting, Natasha relies on her unique background to solve the mystery, and in doing so, manages to uncover and thwart the dangerous ambitions of a most unlikely villain. She wrestles demons and unlocks ancient secrets as she fights to stay alive in her journey of life, death, mind and spirit that may just save the world from a very dark destiny.